Jens Rottbøll, Partner, Chief Consultant, Diploma in Leadership, Leadership in the Knowledge Society at Insead and Wharton Business School, MBA facilitator (Strategy and Core Values), Candidate from Rhythmic Music Conservatory of Copenhagen and had his first management job within the Music Business. Amongst other he created the concert venue, VEGA in Copenhagen, which is awarded among the three best concert venues in Europe. Previously Jens has worked as Director of Human Ressources at Bang & Olufsen where he was responsible for development and global roll out of B&O’s corporate core values and mission statement. A role Jens has frequently played in large global organisations ever since. Since 2001 Jens has delivered end-user workshop and programs for both large and small companies globally. His areas of expertise are strategy & corporate values, diversity intelligence, gender balance and unconscious bias mitigation. His focus is on solving real problems – in a real world and in real time using designs based on the LEGO® Serious Play® Methodology. 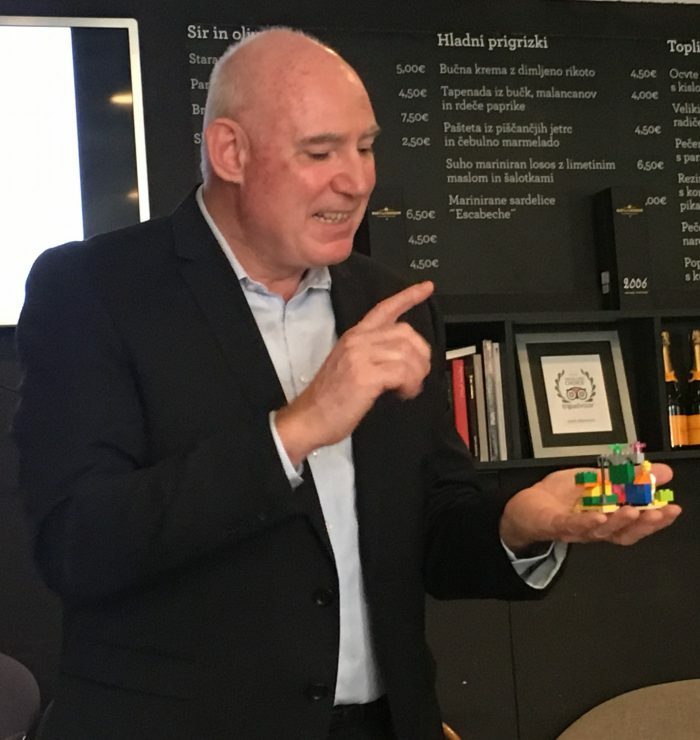 Thus he is one out of ten certified LEGO® Serious Play® trainers of facilitators world wide. Jens manages projects and conducts training and workshops on enhancing Diversity Intelligence in organizations and on strategy and leadership. In addition he is responsible for LIVING INSTITUTE’S leadership programs including modules on MBA programs world wide. Jens has managed projects with global management groups from all over Europe, India, China, Asia, South America dealing with diversity management and cross cultural management after mergers and acquisitions. This work has primarily taken place in USA, Canada, Brazil, France, Germany, Slovenia, Scandinavia, UK and Spain and the companies involved were: Wallmart,e-Bay, Siemens, Ministry of Foreign Affairs Denmark, Chr. Hansen, BASF, LEGO, Bang & Olufsen, Novo Nordisk, Züblin, BMI Group, DONG Energy (Orsted), IC Company, Pandora, Maersk Logistics and many more. Jens is a board member of Jazz Denmark and vice chairman of Østre Gasværk Theater.